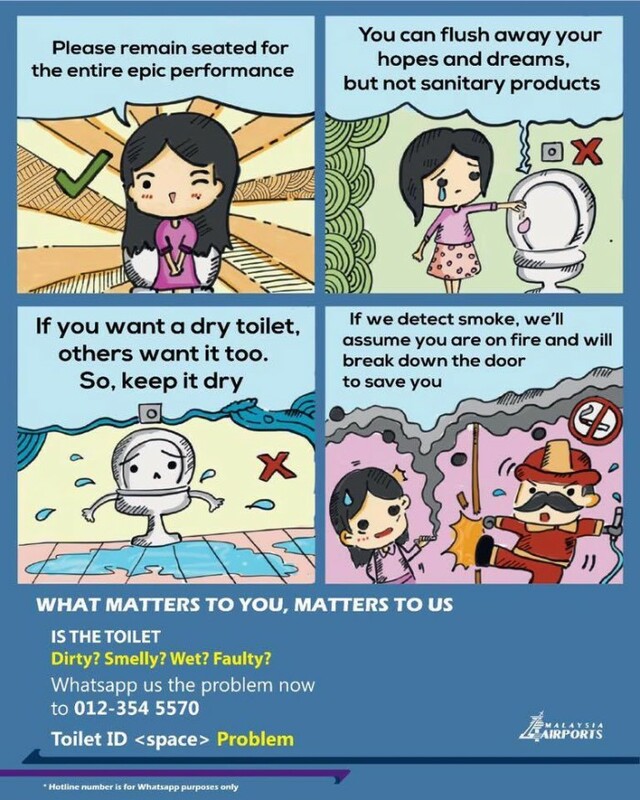 If you have travelled to Kuala Lumpur recently, you might have come across a poster at Kuala Lumpur International Airport (KLIA) educating users on basic toilet behaviour in a comical fashion. 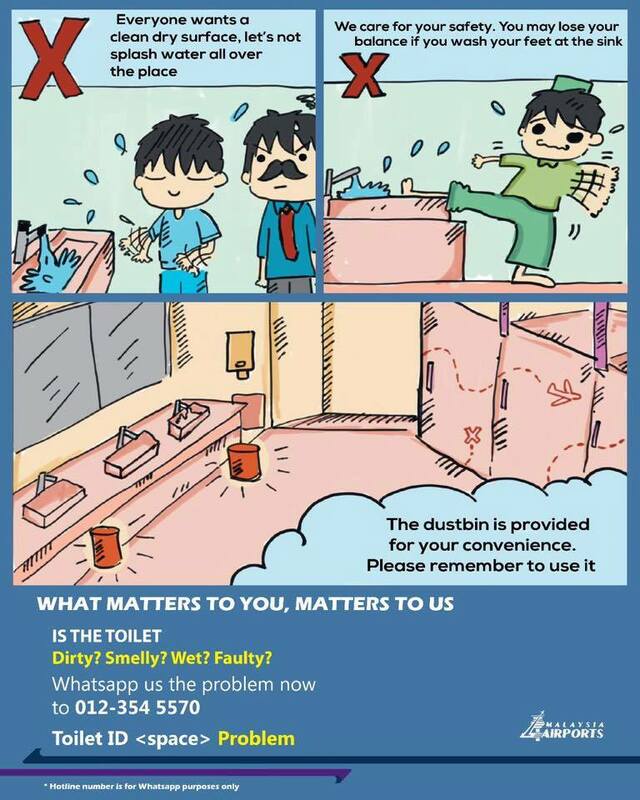 The poster, which is gaining traction online, advises users to refrain from dirtying the toilet seats, comparing their toilet businesses to “epic performances”. 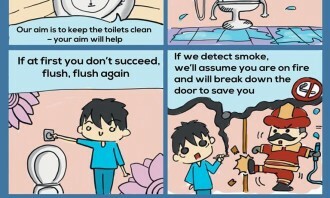 The poster was drawn by artist Kendrick Ng, who goes by the name #Kendylife. 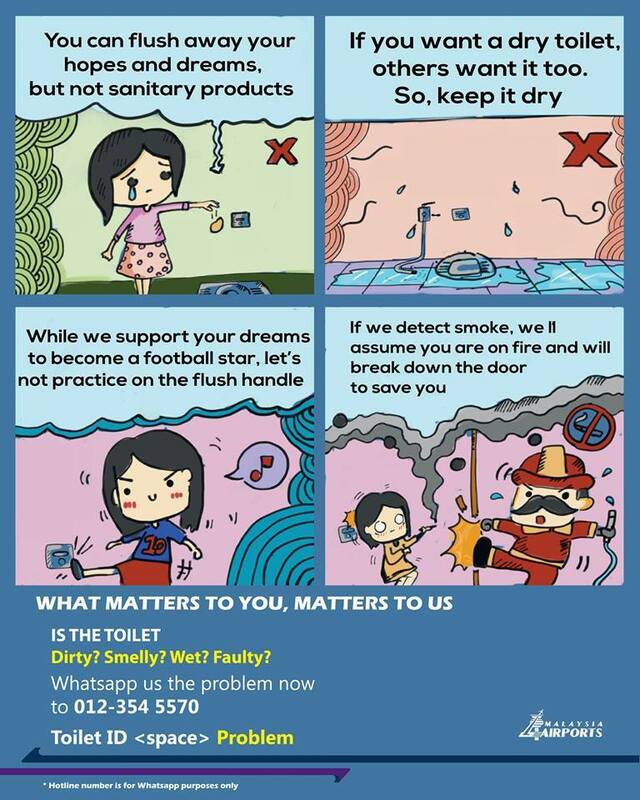 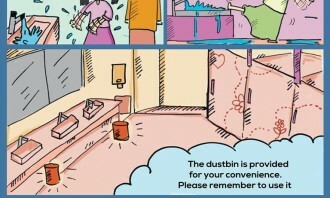 Six versions of the posters are available throughout KLIA, with different messages for male and female toilets. 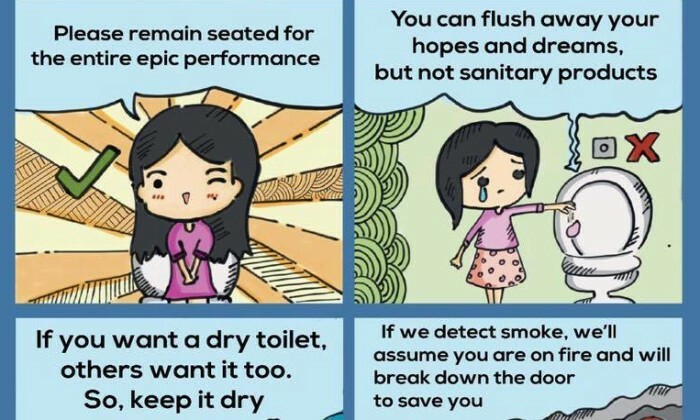 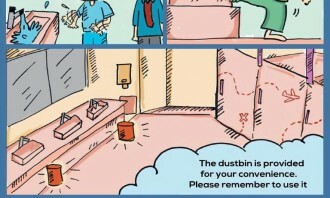 One of the tongue-in-cheek sentences read “You can flush your hopes and dreams, but not sanitary products”, prompting a reaction in the form of a meme from SGAG, a social media site in Singapore. 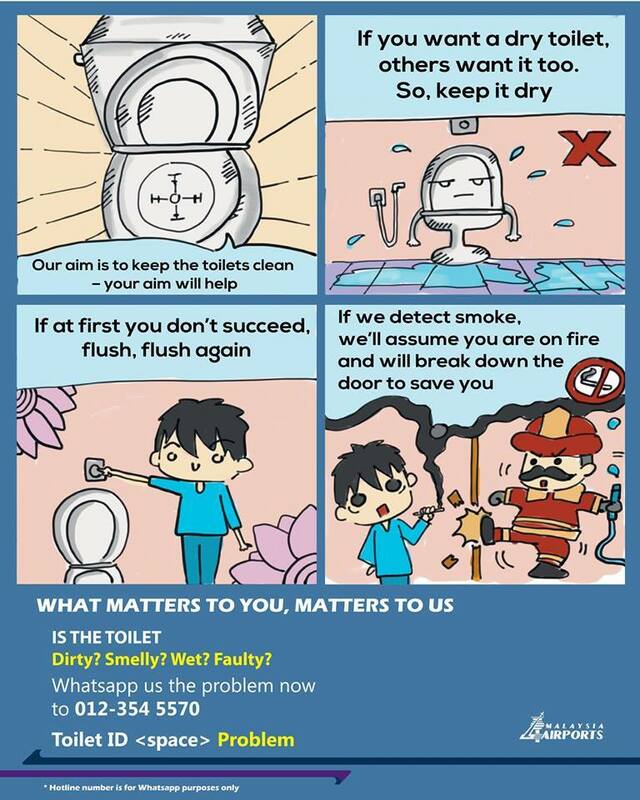 Response towards the poster was positive, with many netizens being tickled by the tongue-in-cheek poster. 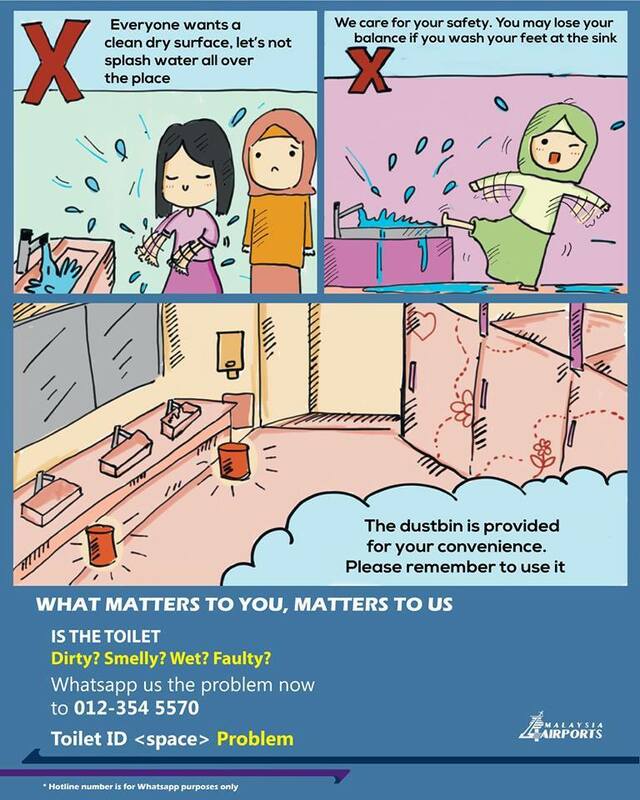 In a statement to A+M, Ng said the poster was part of Malaysia Airports Holdings (MAHB) efforts to improve the toilets standards and cleanliness at KLIA with the public’s support. 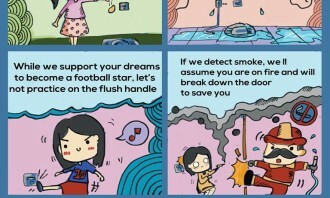 MAHB collaborated with digital agency SocialGrooves.com, where Ng is both the resident artist and partner, to conceptualise and produce the toilet series. 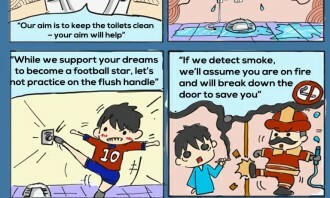 To deliver a potentially sensitive message in a lighthearted manner, both parties decided to combine satire with Ng’s personalised chibi doodle style. 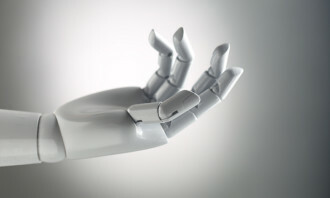 “It is great that they are bold enough to go through with this direction as not many brands would be daring enough. 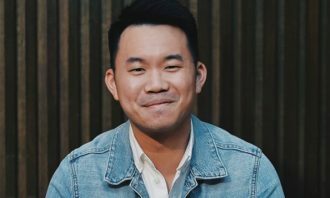 In my experience creating content for #Kendylife and SocialGroove’s clients, this strategy not only is effective in hitting home our intended message, but also careful to not offend the reading party,” Ng said. 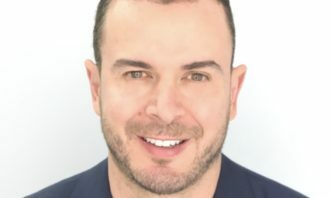 He added that having the content shared by passengers worldwide on popular social media channels, as well as being featured on news sites, shows the effectiveness of a bold 360 content marketing solution. 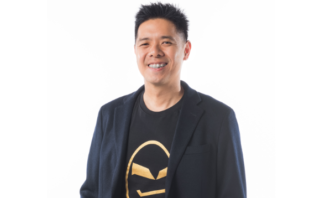 A+M has reached out to MAHB for comment.